There are two ways to advertise on Aquaworld Aquarium. 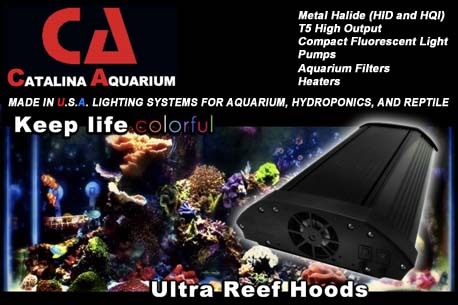 Aquaworld Aquarium now has a direct advertising program for customers that want rotating placement ads on AquaworldAquarium.com. You can also have your ads displayed on the web site through a Google "AdWords" bid placement program. Aquaworld Aquarium direct advertising rotates image ads every 25 seconds. Aquaworld Aquarium direct advertising currently uses three image ad formats, 160x600px vertical (appears on right column), 250x600px vertical (appears on left column), and 458x305px (appears in the column of the article or eBook). If you don't have any image ads we can design the ads for you. These custom design ads provide more space for advertising on AquaworldAquarium.com. Image Ads for 6 months $570. Image Ads for one year $1060. We allow you to store your image ads on your web server. We use the URL to your image ad on your web server in our HTML so you can make changes to the ad at any time. This gives you the freedom to post new products, specials, or information when ever you want. Those changes will automatically appear on Aquaworld Aquarium's web site. Email Tony Griffitts if you have any questions about direct advertising, custom ad size placements, or our services. Aquaworld Aquarium has an established advertising arrangement with Google. Google provides some of the advertising for this web site through a program they call "AdWords." These ads target visitors to this site that are interested in the subjects we provide in our web content. With this program you decide how much you want to spend on advertising. You set the cost-per-click, and only pay when people click on your ad, or you can set a cost-per-thousand impressions. You can edit your ads and set a quota on how much you want to spend. You select the ad formats you want. You can target a set geographic location using an area you define, or you can have your ad display when a visitor to Aquaworld Aquarium is using a computer with an IP Address assigned to computers in your community. You can also target visitors to this site only with the site targeting option. The advertiser that bids the highest per click will have priority in getting their ads displayed on the web site. This is a great program that takes advantage of today's latest technology. Click the here to start your AdWords program today. I'm sure you will agree, as I have learned running a small business for many years, the internet is the best way to maximize your advertising budget. Thank you for your business!